The Liverpool Care Pathway - who decides? Jeremy Paxman conducted a lively discussion yesterday on Newsnight about the so-called Liverpool Care Pathway. 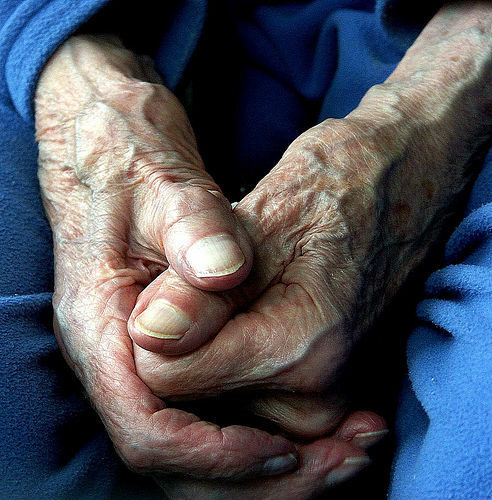 The care pathway has drawn some criticism from patients and carers after it has become clear that it is essentially a way to design a dignified death for patients. While this is laudable where patients are terminally ill, critics argue that it is not clear when and under which circumstances the care pathway should be implemented in individual cases, leaving it open to be used as a 'smokescreen for euthanasia'. The care pathway has originally been developed by palliative care professionals and geriatricians in Liverpool, but it is now widely applied in NHS hospitals. The interesting conflict however is not so much one about when to apply it but one about who makes the decision to do so. Newsnight showed a brief interview with a relative of a patient who was put on the care pathway. In essence, the relative argued this was a decision to let the patient die without exploring alternative routes to address the illness of patient. She reportedly 'begged the consultant' to save the life of the patient instead of applying the Liverpool Care Pathway. In such situations, the Liverpool Care Pathway may resemble more a professional device to conceal clinical decisions from relatives and patients, rather than an instrument for delivering exemplary palliative care. The discussion amongst Paxman's guests however moved quickly away from the critical point that was made by the relative of the patient (and another guest in the studio) towards the 'soft' issue of how to involve patients or relatives in the discussion about the care pathway. This however dodged the actual problem of clinical decision making. As one of the guests emphasised, the question is about WHO makes the decision. Relatives often do not just want to be consulted in the difficult cases but want to make the decision itself. So, in difficult cases, consultation is not enough. The Minister for Care Services Norman Lamb waffled for a while and managed to skirt around the real issue, but anybody who listened carefully couldn't have been in any doubt. As medical knowledge is more widely disseminated in the population, patients and relatives will increasingly challenge clinicians in their decision making and 'consulting' is taken to be synonymous with 'deciding'. No one in the studio pointed out that consultation in the clinical context does NOT mean a fundamental shift of the decision making authority from clinical staff to relatives or patients. The relative brought this to the point when he said that it should be the family or the patient who decides which services he or she receives. We may agree or disagree with this, but the main message is clear. The times when NHS clinicians could make decisions on their own is over. Nowhere is this more clear then in deciding who lives or dies. The Chairman of the BBC, Lord Patten, may have just about survived his grilling by the Public Accounts Committee of the House of Commons today. However, his performance certainly has not done him much good. His answers revealed a breathtaking degree of arrogance which he could have done without. In particular his decision to reward the outgoing General director George Entwistle for a 52 day stint in his job with about half a million pounds beggars belief. Lord Patten did not even seriously attempt to justify his waste of public money to the MPs and instead simply lectured them that there was no alternative to this largesse. Undoubtedly the Committee will not be happy about this state of affairs and Patten should brace himself for a critical report. However, he himself seems to feel immune to criticism as long as he has the confidence of the Secretary for Culture, Maria Miller. Why Patten should remain in his job after he appointed a staggeringly incompetent BBC insider to the main job, and subsequently failed to address the serious failings in the BBC governance is a mystery. As one of the committee members commented during the meeting, Patten seems to think that his responsibility for oversight does not mean that he should be held responsible for anything when things go wrong. This peculiar detachment from whatever goes on in the BBC may just save him for now, but it certainly does not do the BBC any good. Patten appears unable to establish proper governance procedures in the BBC and it will only be a question of time when the next scandal breaks. Then it will be even more difficult to hide behind others. After two years of frothing at the mouth about the education reforms in England by Welsh Labour, Leighton Andrews has now come round to see the light. Last week he announced that he is prepared to remove the responsibility for education from the twenty two local authorities in Wales. This can't come soon enough for the tens of thousands of children in Wales who have to learn under one of poorest educational systems in the developed world. Tests of Welsh school performance revealed a drop in outcomes for the last 12 years since Labour has come to power in Wales. There are many reasons for this poor performance but the main aspect is one about which the Welsh Minister is in agreement with his English counterpart, Michael Gove: local authorities. For decades now the schools in the UK have laboured under the gross overregulation and micro-management by local authorities. More than a quarter of the education budget that is meant for schools never reach the frontline and are wasted in county halls for 'educational services', that is council workers and managers who never see a class room from inside. Tony Blair's government started the process of change. Michael Gove continued and speeded it up. And now Leighton Andrews, the Welsh Education Minister, is about to join the reform camp. Let's see if he can see this through against the vested interests of local councils and teaching unions. The pupils in Wales certainly deserve that he succeeds. The BBC is going to broadcast a look back at the Beveridge Report and the creation of the Welfare State (27 Nov on BBC Radio 4). The summary makes fascinating reading and indicates that a broader consensus is emerging amongst the political parties. Welfare payments are not delivering what Beveridge designed them to do, and, instead, have contributed to a population trapped in poverty and dependency. The reasons for this are complex. Higher mobility of labour within Europe, fewer jobs in the low skilled category, a shift from industrial to a service economy with different income structures resulting in the need for top up payments for working families and much more. Yet, one thing seems clear: the British people want to see a radical overhaul of welfare. The old status quo won't do anymore. It takes courage to embark on such an overhaul and Ian Duncan Smith may just have the determination to do it. Although I have lived in the UK since 1996 and frequently go to the theatre I have rarely seen exciting plays here. One reason seems to be that the country lacks brave directors who are trying out new things. There is no shortage of writers who produce fascinating scripts on topical issues. Yet, directors in the UK tend to either favour conventional set ups or a hotchpotch of disparate ideas which struggle to congeal into a consistently riveting production. It is also not a problem with set designers. Although most sets I have seen are again more on the conventional side, it appears more a case of being restrained by directors rather than a lack of ideas. One recent play I have seen was typical for British directing. Although featuring extraordinary performances, 'Medea' at the Sherman Theatre lacked the explosive mix of spoken word and acting that is characteristic for great production. In a way, it seems to be a problem of giving actors too much space. Several times during the show, the stage was wide open without the actor actually able to 'fill' it with their acting. They were floating, or swimming in too large a bowl, as it were. 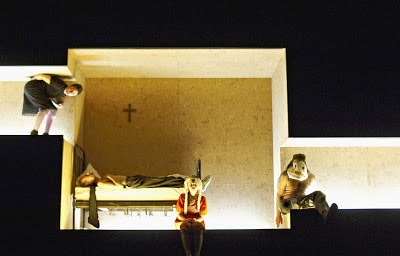 A recent play I saw at the Schaubuehne in Berlin demonstrated what I mean by 'too much space'. The director and set designer of Tolstoi's Power of Darkness filled the entire stage with a wooden board into which only narrow tunnels had been carved. The resulting impression was one of a cut-through a living quarter to monitor the inhabitants. It instantly shaped the relationship between the audience and the actors. The actors were 'watched' in their daily routines, a bit like guinea pigs. In addition, it restricted their space for movements to long stretched tunnels where they would bump into each other, and two small 'living quarters' in the centre. The effect was one of compression, forcing the actors to act within narrow confines. Whether this worked for other members of the audience I don't know but I did notice that it prevented the actors from 'just standing around on the stage' and hoping to garner some energy from the next line of text. It is this tight control of the acting space that can instil life into a moribund show. In this sense wish British directors and producers would show a bit more courage sometimes. It may just make for more exciting viewing. The BBC has once again aired another documentary on Adolf Hitler. The obsession of British people with Adolf Hitler is a curious affair. You only need to switch on the telly in the UK and you are likely to stumble over programmes on the Nazis or the Second World War. Most of these programmes are poorly edited and offer only simple historical narratives. Sensational claims and hyperbole is usually the name of the game. The recent BBC programme is sadly no different. The programme's title and synopsis suggests that it would investigate Hitler's charisma but reverts to a simple historical narrative of Hitler's rise instead. More annoyingly, the BBC programme fails to capture some of the most important aspects of Hitler's ascendancy to power in Germany. In trying to explain the appeal of Hitler to a large minority of Germans before 1933 it points to his charisma without much explaining what that meant. Historical research over the last five decades on Hitler and the Nazi regime has revealed a far more complex story. One of the most difficult issues to deal with is the fact that Nazism, just as its main adversary communism, offered a serious challenge to the political, economic and social establishment. Both regimes, communism in Soviet Russia (and in Eastern Europe post-1945) and fascism in Germany articulated a consistent anti-elitist message, something that resonated with many people in deeply divided societies. It is no surprise that Nazism and Socialism were of course seen to be two sides of the same coin. Socialism just as Nazism argued that the old elites has failed to govern their countries in the face of immense political, social and economic upheaval. On top of this, both vile types of regimes set about to obliterate and murder large swaths of the population which in effect produced an unparalleled extent of social mobility. As people were imprisoned and eventually murdered, both socialism and Nazism radicalised the relationships between the masses and the elites. This contributed to considerable amounts of loyalty by many people even when it became clear how murderous these regimes were. The viciousness of the socialist and Nazi regimes of course correlated with another aspect that produced enormous levels of support amongst the populations. Both offered a simplistic view of human relationships and modern societies. Their visions contrasted with the growing complexity of social and economic affairs in the wake of the First World War. Interestingly this did not extend to the internal workings of either regime, socialism or Nazism. While both pretended to reduce complexity, they created highly differentiated and competing hierarchies of power in the economic, political and social domains. The BBC programme reflects little of the sophistication of the Nazi movement operating in modern German society and it is rather sad that such a simplistic sensationalist account received support from Ian Kershaw, an eminent researcher and author of an important Hitler biography. But I guess it is this very simplicity that appeals to many viewers. As the murderous Nazi thugs and socialist ideologues knew, reducing complexity is often soothing for the broad masses. The main argument for the living wage is that it lifts people out of benefits. Currently there are thousands of people in the UK who work hard and have full time jobs yet receive housing benefit and other state support since their wages are not big enough to make ends meet at the end of the month. In effect, this shifts the burden from employers (who pay wages and through the work of their employees make profits) to the tax payer. The argument of the living wage campaign is that this is wrong. However, there is another argument that should make us think twice before we introduce the living wage. The income differential between employees is a product of the type of work they do and their productivity. The living wage would force employers to reduce the income differential substantially between those employees who do different jobs in their company. Effectively, this would distort the incentives for pre-employment education, training and skills. With the living wage, there would be no difference anymore between somebody who cleans the office and somebody who answers the phones. To pretend that both types of work are of equal value is simply not true. Though both should command our respect for hard work, reducing the income differential between jobs in essence signals to young people that further and higher education does not pay. The danger would be that education does not look attractive anymore in a society where wages are the same for everyone. Cameron has declined to investigate claims of paedophilia amongst politicians as he was shown a list of potential suspects by TV presenter Schofield on air. The prime minister is in good (or rather revolting) company with his denial to look into the matter. On Question Time, Chukka Umunna has equally defended the right of paedophiles to remain secret. To most people, this will come as no surprise. As more and more details emerge from the Bryn Estyn home abuse inquiry (the so-called Waterhouse Inquiry), politicians of all colour tried to draw up the terms of reference of the inquiry in such a way that paedophiles were protected and could not be prosecuted for their crimes. Now, the Home Secretary Theresa May has urged anyone who has suffered from abuse to go to the police. She is either wilfully ignorant of the problem of paedophilia or deliberately tries to close down the discussion about why this type of abuse has gone on for decades in care homes in North Wales. 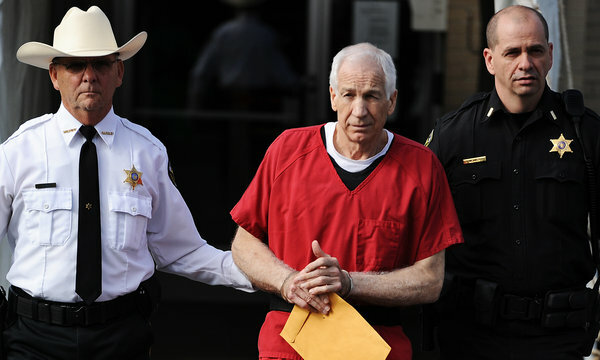 As the Sandusky trial in the US has clearly shown, paedophiles are careful to build up strong networks of friends to protect them from prosecution if allegations are made against them. The Waterhouse Inquiry unequivocally demonstrated that the police and the prosecuting authorities at the time had no intention to investigate the crimes at Bryn Estyn. And now, May says the victims should trust the police. How ignorant can you be? After having failed for more than 30 years to prosecute paedophiles who abused children in care homes in North Wales, it seems obvious that there is only one way of making sure that paedophiles do not get away with their hideous behaviour. Name and shame them publicly! So there it is. The people have spoken and they have handed another victory to Barack Obama. Whilst there was less enthusiasm for his re-election amongst many Americans, he eventually mustered enough energy to mobilise many of his original supporters to give him a second chance. And a second chance it is since neither has he achieved much of that which he spoke so eloquently of in 2008, nor has he fulfilled the hopes of so many of his countrymen. The main narrative of this campaign was that it was a choice between two widely different visions of America. I beg to differ. Whilst the Obama campaign ran a vicious personal campaign against Romney, the Romney camp was careful to avoid shrill sounds and personal attacks. In fact, observers on the left of the political spectrum corroborated that when they spoke of a 'Chicago' campaign run by the Obama camp (Chicago politics is famous for the nasty vilification of your opponent and the spreading of 'halftruths' or outright lies). So as the shine has come off the Obama campaign, the Romney camp seems to have mainly articulated a moderate vision of America that widely commanded respect amongst independents. Romney's address to his supporters reflected this gracious and fair attitude in the political struggle, while Obama's speech to his supporters seems to have been mainly a repeat of the hollow phrases and high flying rhetoric from 2008. Yet the media distortion about Romney and his supporters goes even further than that. The media suggested repeatedly that there were major differences between the opponents. This is largely wishful thinking. Take the reform of the banking sector and the effect of Wall Street on the US economy. Obama had strong words of criticism for Wall Street and the investment banks in 2008 yet failed to deliver a single effective reform package that would prevent a similar breakdown of the banking system. Or look at the bailout of the car industry. Whilst this clearly won Obama plaudits from the car makers and their unions, the money mostly went to pay enormous pension liabilities that had built up over decades. This only achieved one thing: the American car industry is back to square one. It remains largely uncompetitive vis-a-vis foreign car makers and technological innovation is low. Obama may have saved it temporarily from going to the wall, but it is still heading for a crash, bailout or no bailout. The most important weakness of all may however be Obama's personality. In an insightful documentary Andrew Marr spoke to close advisors of the President and they indicated that, despite the rhetoric about collaboration, Obama is not somebody who knows how to work together with others. He (perhaps too much) relies on his intellectual strength and believes that by simply thinking hard about a problem, he will come up with the right answer. This showed throughout his presidency. As some of his supporters argued, Obama may be the most lonely president ever, unable to reach out to colleagues and work with them to achieve robust solutions to difficult problems. This contrasts markedly with Romney who as governor favoured a managerial style, often delegating problems to capable staff and colleagues. And so, I suspect, we will see more of the same. A president increasingly frustrated by an allegedly intransigent 'Washington' political system and hemmed in by an inability to reach out to others. What Obama does not seem to understand is that rational thought may sometimes be a poor guide for political decision making. Politics is about people, not abstract ideas. The Leveson Inquiry is currently investigating how best to regulate the media. Some newspapers in particular have stepped over the (moral and legal) line over the last decade and the sanctions that were imposed by the Press Complaints Commission were little more than slaps on the wrist. There is hence a widespread consensus that something has to be done, yet commentators disagree about what that could possibly be. One way of looking at sanctions for violations of a code or legal framework is to argue whether the sentence is appropriate to the crime. In the developed world this has led to a significant narrowing of the options in sanctioning instruments. Hard labour is not something we generally endorse anymore as a response to illegal behaviour. Most commonly, today criminals are either punished through financial compensation or prison. These two instruments may however be especially blunt when it comes to infringements of a self-imposed code, or violations of good taste and decorum. Newspaper editors are unlikely to serve community sentences either, the last of the means in the repository of punishments. So perhaps it is time to look further, or, to be more precise, to look to the very distant past. James Cook on his voyages around the globe in the 18th century encountered a particularly tricky problem with locals on the islands he discovered. The ship and its provisions were subject to widespread ‘thieving’. Locals simply did not attach the importance to property relations as Cook and his mates did. This presented Cook with a considerable difficulty, especially as he noticed that the most common form of punishment (corporal) that was usually meted out to perpetrators in his own team seemed to have no effect with the local population. His fellow traveller, Captain Clerke, then ‘hit upon a method which had an effect’ by ‘shaving their heads for though [having a shaved head] was looked upon as a mark of infamy and marked out the man’ (Cook, The Journals, p.465). What does this tell us about newspaper regulation? Well, Cook’s example demonstrates that the effect of punishment is peculiar to the cultural environment. It is determined not by what outsiders consider appropriate or harsh but by what is considered such by anybody within the cultural context in which the individual operates. So, here is my suggestion about newspapers that step over the line. Instead of fining them, force them to print a correction or apology in the same place and at exactly the same size in which the original story appeared. Let’s see how they would like it to have their heads shaved in this way.